We just arrived home from our honeymoon. As in we haven’t even unpacked yet. I’m relaxing after our arduous 36 hour span of driving. And I just couldn’t wait to share the projects we did on our honeymoon (There will be more posts, don’t worry). We stayed at Massanutten Resort in Virginia. Everything we tried out at the resort was wonderful. We were both delighted to discover the art/craft classes. We were most excited to find a stained glass class and waited anxiously all week to attend the class. Using Mod Podge to stick everything to the glass. Our first class was 3-D Decorative Window Frame. We were given a frame with glass and told to choose a design to fill in on the glass. There were designs provided, but were given the option to come up with your own design as well. Which we did. Then you choose from a selection of shells, rocks, and beads how to fill in your design on the glass. Since we are avid garden failures, we also decided to join the Garden Miniature Figures class. We were mostly sold when we discovered painting a dragon was an option! Following brief instructions, everyone in the class was given free rein (with a supervising eye) to select paint and brushes or sponges to complete their selected figure. A few pencil marks to guide painting. Our last class was Stained Glass. We were probably most excited about this class since it’s been our intention to learn this art form. This was probably the most structured class we attended (and also not kid friendly; hot tools are included). You walked in and choose which project you wanted to complete from a group of prepackaged options. We were then walked through each step of creating a small stained glass piece. This is a project I can’t wait to work on more at home now that I know the steps. I am counting these as my TSNEM projects for the months I missed. I have another project that I should (fingers crossed) be sharing with you Wednesday for my June TSNEM project. I will also have a couple more posts about our further adventures during our honeymoon. TSNEM means Try Something New Every Month. While I was living overseas, my sister sent me a mug. I used this mug daily. It travelled to work with me (it’s not a travel mug). It has by now seen better days. The handle is long gone and I have to be careful of the side I use. I refuse to toss it. It still gets occasional use and was the inspiration behind this month’s project. The TSNEM project for the month was a tactile craft such as candle or soap making. Or to make something with clay. None of the ideas I found sparked an interest. I have however been testing out some mixed media art projects, so I decided to complete an idea for this month’s project. I must confess to trying to combine 2 challenges into one with this project. Adventures in Making announced their DIY Craft Challenge is back this year and I want to participate. My goal is to complete 2 separate projects, but that just didn’t happen this month. Since the DIY challenge was Stitches & Threads, I decided to try out paper embroidery. Which is essentially stitching on paper. I started by wrapping chipboard with fabric leftover from a dress I made. I used tacky glue. The size of my piece is 6 inches by 6 inches. Since we are talking about reading here, I used my Silhouette to cut out a silhouette of a stack of books. I don’t recall where I found the silhouette of books. the file was on my computer. Probably from another unfinished project idea. My original thought was to use dark brown vinyl, but came across scraps of the pleather we used for my Halloween costume and decided it would replicate an old book feel a little better. The Silhouette didn’t cut all the way through the thicker fabric, but it scored it deep enough for me to then quickly trim out the design. For the paper stitching, I used a design from Flamingo Toes. She has a Shhhh… I’m reading pattern available. My plan was to use the Silhouette to cut a book page into a decorative shape. I quickly discovered that old book pages are not quite sturdy enough. I traced a rough shape and then hand cut the paper. For the stitching, I traced the lettering onto the page. Then using a pin, I pricked holes along the tracing. I’m going to need a little practice getting the holes the same distance apart. Since this paper was fairly thin, I was very careful while stitching not to pull the thread too roughly so I didn’t pull out stitches. I did pull a few from when I places the holes too close together. I was able to just make the stitch longer to fix the stitch. For finishing touches, I added a couple buttons to the corners of the paper. I had planned to stitch around the edge of the page, but I kept pulling out the stitches. I trimmed off the little bit I had stitched and left it as is. To complete the project, I plan on matting and framing it to hang somewhere in my house. I highly doubt that we will ever win a medal for being the greenest family on the block. We do a few things here and there, but we could very easily do a little more. The little bits we do help us feel environmentally contentious, which does lead to more green decisions. Our most recent green commitment came with an excuse to make those fabric coffee sleeves I’ve been seeing everywhere. I have been a fan of reusable cups/mugs for quite some time. I always made certain do give customers their discount when ringing them up when I worked in a cafe. I, however, never bought my own. I just couldn’t fathom paying so much for a cup or mug. Before you say, check the dollar store, I did. They always looked super cheap and about ready to fall apart. I’m not a fan of hot anything on my lap. Particularly on the way to work! Then this marvelous thing happened, where a big name coffee chain (you all know who I mean) began selling $1.00 reusable cups. I can handle one dollar. I even check out the construction. Much better than anything I’d seen at the dollar store. They even have the added bonus of feeling as if you are drinking from a plastic lid and paper cup. I like that feeling. I’m always afraid that I’ll get a big Sploosh! of hot tea in my face from some of those travel mugs out there. No worries about that with my new cup, it looks just like the disposable one, only I get to use it over and over and over! Not that we frequent cafes all that often. Mostly at Christmas. The drawback to this new wonder cup is the lack of insulation. I could just grab a paper sleeve and be done with it, but that seems a little ironic (I’m fairly certain I am using that term correctly) to be using a green cup only to throw away a paper sleeve (even if it is made from recycled paper). I decided to use a little part of my day off to stitch up a couple of sleeves to protect our hands while carrying around our drinks. There are a million tutorials about how to make these fabric coffee sleeves. I suggest doing a google image search to find the one that suits your fancy and follow that tutorial. I settled on using this tutorial by Skip to my Lou. It’s a blog I follow and her tutorials are quite good. For the most part, I copied the tutorial exactly. The couple changes I made this time are minimal. First, I used heat-resistant batting. I don’t recall which brand I had on hand. Since I stitched my sleeve second, I used a slightly smaller seam allowance to make my sleeve a bit wider. The sleeves turned out awesome as you can see from the photos. My boyfriend loves his flannel bug covered sleeve with canvas lining! I’m mostly happy with mine for which I used quilting cotton with corduroy lining. I wanted it to overlap a bit more and be a little wider. For now, I’m going to show off my current sleeve; I’ve got other projects to tackle! That title is really more impressive than the actual accomplishment. You see, to make hair ties, you just tie the ends of elastic together. Really, it’s that simple. Mostly. There is the matter of finding the proper elastic. And maybe making sure the ends aren’t going to fray. But for the most part, if you are in a pinch, grab some elastic, tie it in a loop, and wrap it around your hair. I have really thick, heavy hair. At least people tell me it’s heavy. I’ve been carrying it around for so long I don’t notice that it is heavy. I’m just going to assume that means I also have really strong neck muscles! (Go me!) It also used to be really long (until I chopped it all off, see here). This means that when I look for hair ties, they have to be super strong and durable. Oh, and cheap! When I started seeing these handmade hair ties around the crafty world, I was skeptical. There was no way they would work on my hair. It’s waaaayyy tooooo heavy! (This might still be true, but it will take a couple more years before I can test that.) And there is nothing more I can’t stand than when my ponytail is sliding down loose. It’s got to be securely tied in place! For the majority of my life, that meant buying the thickest, strongest-looking hair ties I could find. They weren’t the shiny pink and pretty ones. Nope, I was relegated to using the black, brown, and navy versions. Then this summer, my friend, Kristen, over at Splendid Play, insisted that I try out these new hair ties she was making for the shop. At this point, my hair was super short, so I thought, of course they will work. And work well they did! For six long months. Almost every day. I don’t believe I’ve ever had a hair tie last six months. Ever! Of course, after six months, it has worn out. Because I’m a crafter, I have fold over elastic (FOE) stashed in my craft room from a Pick Your Plum purchase ages ago. I grabbed the elastic, scissors, a ruler, and a lighter, settled myself on the sofa, started an episode of Grey’s Anatomy and got to work. (Don’t blink now, or you’ll miss the mini tutorial!) First, cut the elastic to about 9 inches. Second, seal the ends with the lighter. Third, tie a knot at the end. I finished an entire pile in less than one episode. In fact, I made way too many. I will have a listing in my Etsy shop for the five extra sets I made. Or, if you don’t like the colours I have, check Splendid Play, she has like 42 different colours available. Yes, really, 42! I don’t really know how this mess began, I’m sure it was just a matter of running out of time. As always, I continue working on projects straight up till the very last-minute. Then all of a sudden, school was starting. Instead of making a little time to put my unfinished projects away, I thought I might just find time to sneak in a bit of crafting between planning and grading and having a life! What was I thinking?! So the unfinished, un-put-away projects just sat. While these projects were just sitting, I discovered more projects and found new supplies. These new supplies were piled on top of the already not-put-away projects. Because, you see, deep down I’m a crafting girl and if I can’t be crafting, I’ll be shopping. So I add more supplies to the already full cupboards and boxes and drawers until the day comes when I begin crafting again. In a perfect world, I would keep my room clean and organised, much like Martha Stewart and other crafting goddesses, so on the off-chance I get to sit down to sew, the room is all ready for me. Alas, I instead spend my time either avoiding the room (who wants to clean when fun is to be had elsewhere?) or cleaning (bleh!). This is how I find myself with a sewing/crafting room in such a terrible state. I have spent some time organising the room, but it still needs work. Maybe I’ll find time during the last few days of break! Or maybe I’ll just keep ignoring it until summer! I’ve decided to take some of my precious summer sewing time to make items for children in need. I’m starting off with a quilt. I’ve always wanted to make quilts, but I find after a few squares it becomes quite monotonous. I believe that with a good reason, I can do it. I found Quilts for Kids through Make it and Love it. Ashley has shared a couple posts about the project and has also given straightforward instructions on how to assemble the quilt. Quilts for Kids (QFK) was started by Linda Arye as a way to keep fabric scraps from being thrown away. Rather she found a way to use this fabric for bettering children’s lives. The company has grown and now has many sponsors. I recommend heading over to their website and reading all about them. While you are at it, request a Quilt Kit. This is the best part I think. 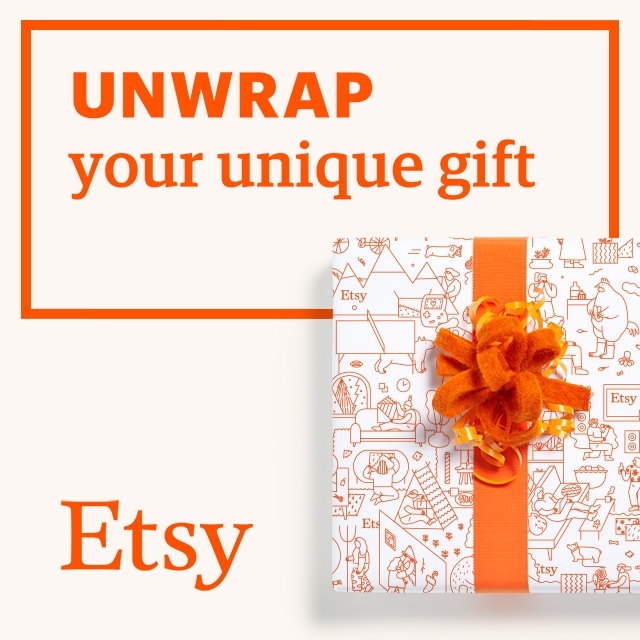 QFK will send you a box with nearly everything you need to make a quilt. All you will need to provide is time, a sewing machine (you could sew it by hand, but that could take ages), and batting. QFK does politely request that if you have the supplies, that you make a quilt or two from your own stash to include in the box when you send the finished quilt back. 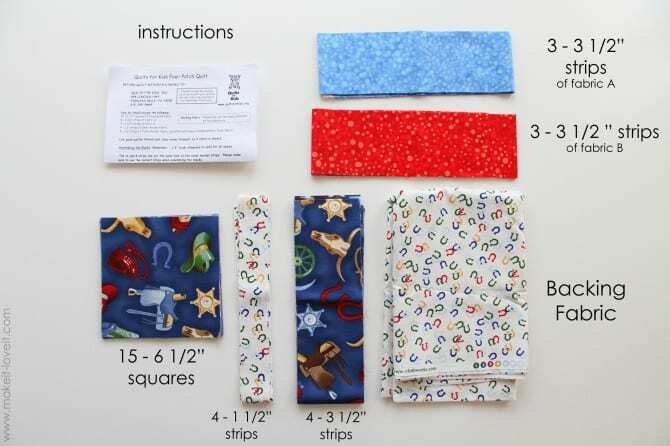 There are some specific instructions about making the quilts so be sure to check here as you are choosing your fabric. Since I’m not a quilter, I was delighted to find that Ashley over at Make it and Love it has already written two wonderful posts on how to make a quilt from the Quilt Kit. The first post shows how to properly sew together all the pieces for the top of the quilt (click here). The second post shows a simple way to quilt the layers and to create the binding (click here). I’m off to sort through my stash to find some wonderful fabric for some delightful children. I was not asked by either QFK or Make it Love it to write this post, I am sharing this to help spread the word about some good we can add to the world.